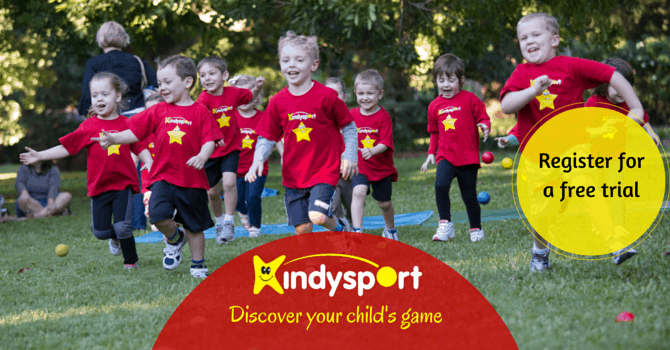 Kindysport introduces 3 to 6 year old children to 12 different sports. Our focus is providing a fun, safe, inclusive program that enable children to develop the necessary skills to enjoy being active and discover their sporting interests. Each week we focus on a different sport. Monday 9.15am & 10am. 9 week program commences 12th October ($121.50). Friday 9.15am & 10am. 10 week program commences 9th October ($135). Thursday 9.15am & 10am. 10 week program commences 8th October ($135). Saturday 9.15am & 10am. 10 week program commences 10th October ($135). To register for a free trial, please click on the link below to submit your details. One of our team will contact you to organise a suitable class.